Big caveat: we cobbled these together from a variety of sources, including GoPSUsports.com and the Big Ten website. 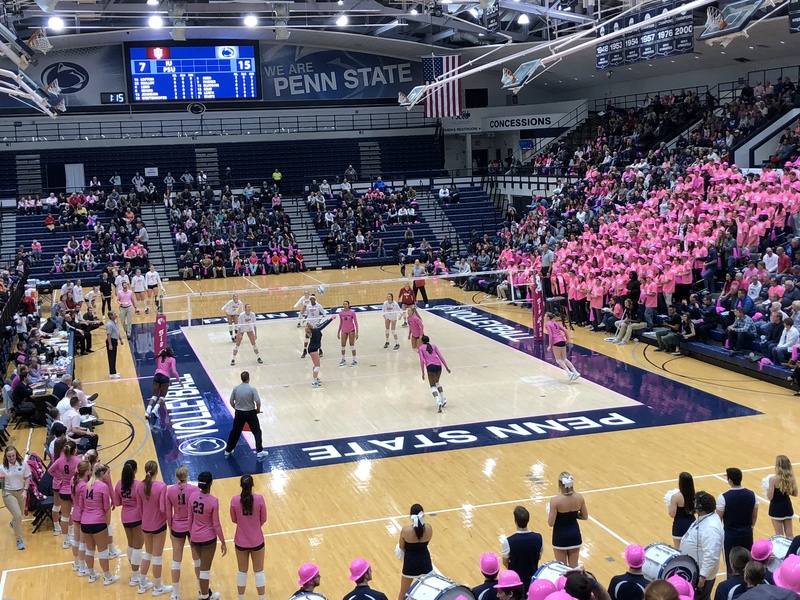 We noticed that there are discrepancies between those two sites (GoPSUsports.com lists Haleigh Washington as having played 79 sets, whereas the Big Ten site has her with 80 sets-played, for example). And in instances where we had to do calculations (Never have us do math! ), ours sometimes differed from GoPSUsports.com. We’ll keep an eye-out and update if we find better totals. But these are close.